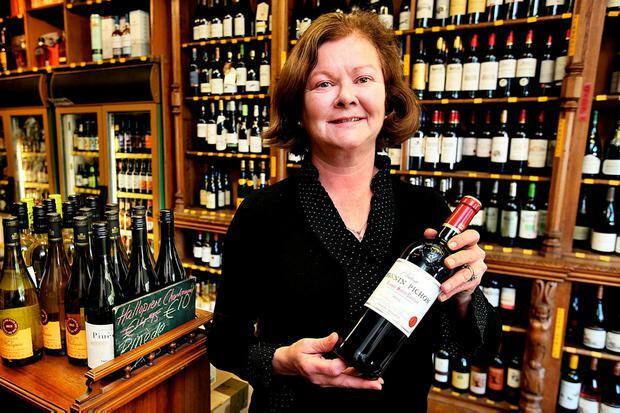 A reduction in excise was top of the wish list for off-licence owner Evelyn Jones, who owns The Vintry in Rathgar. That's why she was bitterly disappointed when Budget 2018 was announced. "I really just think the border is going to become a big issue for retail and we're already out of kilter with VAT," she said. "They had the chance to reduce excise and keep it in line with Northern Ireland so it's very disappointing." According to Ms Jones, paying the excise to Revenue is draining cash flow from her business and penalising both her and impacting on the choice and quality offered to customers. "Personally, what I can't understand is the very high excise we have on wine in Ireland, which is taxed 35pc higher than beer. "It's suppose to be an EU law that you can't tax a non-domestic product higher than a domestically produced one, so how is that allowed from a European perspective?" she asked. Ms Jones bought her business as a going concern over 20 years ago and it employees three. However, she says she hasn't felt an economic upturn - and like a lot of small businesses, feels there is nothing being done to help hers. Excise on wine went up by 62pc since Budget 2013 but she points out that, at the time, this was flagged as 'an emergency' measure. "They keep telling us that the recession is over but we're not seeing any roll back on those emergency taxes," she added. The off-licence trade is also feeling the effects of Brexit and Evelyn believes the weakening sterling will further impact on her. "What we're going to see going forward is a further migration up to the north to purchase alcohol and while they're up there they'll buy everything else also," she added.